A beautiful bergerie-style property set in peaceful grounds and surrounded by ancient olive trees. Situated between Bonifacio and Porto Vecchio, the location is very convenient for those wishing to explore the south of the island. Situated down a peaceful country lane amongst mature olive trees and set in the same grounds as Villa Bicu Rossu and Casa di Pruno, Casa di l'Olivu offers a tranquil countryside retreat whilst not being far from the main towns and beaches of the south coast. 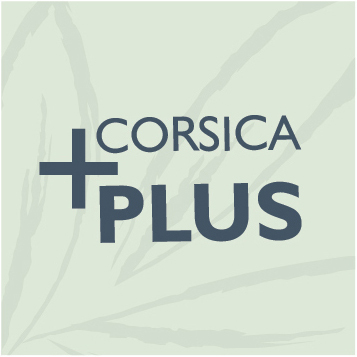 "The perfect place for getting back to nature and enjoying the true Corsican lifestyle. Very easy, organised holiday. We loved the island, accommodation and everything it has to offer." Casa di l’Olivu has been thoughtfully designed with the same layout and attention to detail, nestled within its own private garden complete with an inviting pool and a superb summer kitchen – the perfect setting for outdoor Mediterranean living. The property is arranged on one floor with an open plan living/dining room, a well-equipped kitchen area, two spacious bedrooms, a contemporary shower room and a separate wc. Decorated in neutral shades, the villa has a warm and welcoming feel with comfort being a key theme. When you can eventually tear yourself away, the towns of Porto Vecchio and Bonifacio are well worth a visit, and only around 15 minutes’ drive away. There's also a wide choice of stunning beaches in the area, whether you fancy visiting the famous Palombaggia and Santa Giulia sands or exploring the unspoilt coves of Figari bay. Casa di l’Olivu is a charming property ideally positioned to explore the delights l’Extrême Sud region has to offer. Great news, car hire is included in package holidays! Open plan living/dining room with well-equipped kitchen area, double bedroom, twin bedroom, shower room, separate wc, outdoor kitchen with barbecue and sink. Private pool (8m x 4m, depth 1.15m-1.65m), barbecue, dishwasher, washing machine, microwave, television, Wi-Fi, DVD player, air-conditioning. Ideally located between the mountains and the sea, Tarrabucceta is a quaint hamlet with a charming Mediterranean feel. The main towns of Porto Vecchio and Bonifacio are only 15km away and can be easily accessed via quiet country roads. There are also plenty of country walks in this area and further roads leading easily to the central mountains. Tarrabucceta will appeal to customers wanting a peaceful country setting with an authentic Corsican atmosphere. Located only 5 minutes drive away in Figari Village, this quaint local restaurant offers home made, Corsican specialities at a reasonable price making it well worth a visit. Live Corsican music is normally played at the weekends adding to this delightful atmosphere. The old Genoese walled town still seduces visitors with its picturesque narrow streets and the austerity of its high stone houses that are set within the Citadel's ramparts. Wander the ancient streets, the Borgo, where you can see the enormous twisted tree of the Place de la République, the 19th century church of St-Jean Baptiste and the gallery housed within the Bastion di A Funtana Vecchia. Experience live Corsican music and soak up the local atmosphere. Amongst the best venues is 'la Taverne du Roi', which is tucked away in the citadel of Porto Vecchio. Many restaurants also host a Corsican night once a week featuring a local band - look out for posters or ask your representative for up-to-date information. Within a few minutes walk of the old town, the marina lined with cafés is an excellent place to enjoy a leisurely drink during those hot summer evenings. There is also a variety of boat trips on offer with tours around the beautiful coastline. Drive inland more than 1200m up to the spectacular Col de Bavella, one of the most dramatic passes in Corsica with stunning views across extensive forest, ocean and mountains. Also visit the surrounding mountain villages in the area. Try canyoning or take a dip in a rock pool in the rivers of the Bavella massif. There are many walks through the forests to the hidden waterfalls of the Alta Rocca, including Piscia di Gallo, or Cockerall falls. A short drive inland from Porto Vecchio will bring you to the Ospédale forest, and some great spots for a picnic. Try one of the mountain restaurants and indulge your tastebuds with mountain food. Amongst our recommendations are 'le Refuge' near the Lac de l'Ospedale or 'A Pignata' in the village of Levie. Try the circular coastal walk around Roccapina in the south west (approx. 1h40), which affords breathtaking views across the beaches of Roccapina and Erbaju. Look out for the lion-shaped rock formation 'le lion de Roccapina' which overlooks the dazzling turquoise-blue bays from its perched position.